Marketing through mobile has become a fast growing trend and is increasingly proving a very cost-effective strategy for both entrepreneurs and multinational companies in lifting the effectiveness of their business up. As the mobile phones have become part and parcel of our life, reaching a mass of people through the strategy of bulk SMS has not only become a piece of cake, instant but, at the same time, it is also a very cost-effective marketing way for businesspersons. As a result of its cost-effective, dependable, and faster turnaround time, SMS marketing is becoming an improved tool in today's cutthroat marketing field. In the time what went before, businesspersons were bound to rely on SMS service providers to send bulk SMS to customers, but now bulk SMS software has helped entrepreneurs to convey updates to customers using just a simple click. Sending SMS in bulk quantities is one of the easiest and cost-effective ways to reach a large number of prospects in time. 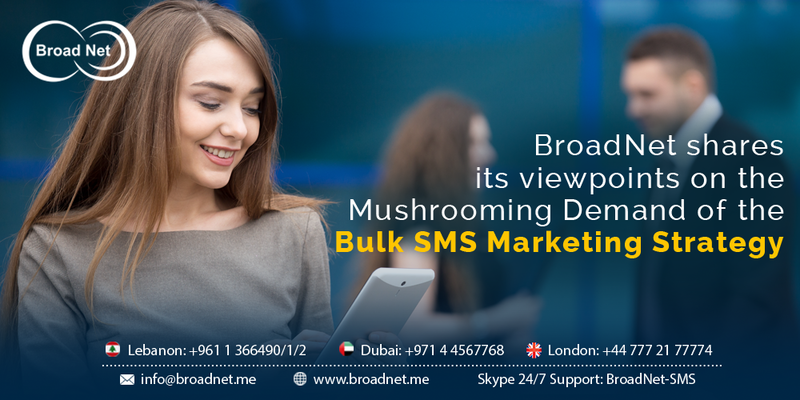 Bulk SMS software is a great way for you to send your ad message in an SMS form unswervingly from your Excel database. You can send these messages either from your computer or through your mobile. As bulk SMS advertising is increasingly becoming a rage in the marketing arena, it is also being used in other sectors, for example, financial institutions, corporate, education institutions, FMCG marketers and several other people. Due to its effective performance in the marketing arena, even large-scale organizations have started utilizing bulk SMS strategy to maximize their business productivity . However, entrepreneurs are required to choose the ultimate bulk SMS software depending on their expectations and budget since some software may not have all the state-of-the-art functionality required to send SMS to a maximum number of people. So, get ready to make your marketing campaign a real smasher using bulk SMS marketing strategy and get an extra edge over your competitors. Broadnet Technologies is an international leading Business Messaging Solution Provider. It’s joined the GSMA as an Associate Member also it has been awarded certification to the ISO 27001:2013; Broadnet Technologies has been a pioneer in the use of SMS-messaging service across global markets since 2003 thus widening its range of products and services to include Bulk SMS, A2P SMS, HLR Lookup Service, SMSC Gateway, SMS Firewall, Web Solutions, and Mobile Applications.